The International Summer School on Integrated Care, “Integrated Care in Theory and Practice” is organised by the Integrated Care Academy© and provides a one-week intensive training on theory and practice of integrated care. It is aimed at health and social care professionals, clinicians, researchers and managers who want to strengthen their understanding of integrated care, get a comprehensive overview of the state of the art in theory and practice, and hone their competencies in analysing, designing, evaluating and practicing integrated care. The course has been developed for those who are tasked with designing, implementing, leading and/or managing integrated care and want to learn more about the tools and instruments which are available to them with evidence from around the world. 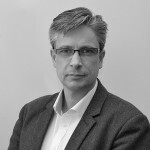 Dr Dedeu is the Director of Programmes of the International Foundation for Integrated Care (IFIC) based in Oxford, UK and he is the former Director the Agency for Health Quality and Assessment of Catalonia, Ministry of Health of the government of Catalonia. Dr Dedeu is a MD (University of Barcelona), specialised in Urology and Family Medicine and he holds MScs in Health Economics, in Primary Care and in Healthcare Management. He has professional experience spanning more than 20 years at international level in the field of quality assessment and health systems development. He has worked as policy maker, manager, researcher and implementer or health system reforms. Former Chair of EUREGHA (European Association of Regional and Local Authorities), association based in Brussels. He has also been the Director of research and knowledge exchange of the Digital Health and Social Care Institute of Scotland, in association with the University of Edinburgh, United Kingdom. Dr Dedeu is currently involved as PI in more than ten EU projects, such as FP7, H2020, Interreg, Health Programme and also EIT Health. Along with his scientific career he has published more than 55 research papers in SCI and SCIE journals of high impact factor. Nick holds a range of research, educational and consultation roles worldwide. These international commitments include several European R&D projects such as the EU FP7 Project INTEGRATE, the Horizon 2020 project SUSTAIN and the ICT-PSP projects SMARTCARE, BEYOND SILOS, and CAREWELL. Nick is an active member of the European Innovation Partnership on Active and Healthy Ageing B3 Action Group on Integrated Care. 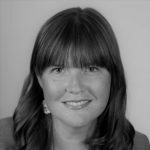 In her Senior Associate role, Anne supports a wide range of IFIC Academy activities, in particular strategic leadership, system coaching, and international knowledge exchange initiatives. These include support for IFIC summer school and conferences, and coordinating the Integrated Care Matters webinar series and special interest groups on Intermediate Care, Palliative Care, Polypharmacy, and Frailty. IFIC Scotland activities champion coproduction, empowerment and the use of lived experience and personal outcomes to transform the relational aspects of integrated care. Anne is a geriatrician, stroke physician and clinical lead for Integrated Care with over 30 years’ experience of transforming health and social care in Scotland. She is a Fellow of the Royal College of Physicians (UK), honorary professor at the University of the West of Scotland and holds honorary appointments with the University of Glasgow and the University of Edinburgh’s Global Health Academy. 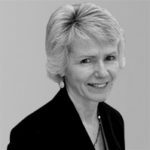 As a graduate of the founding cohort of Delivering the Future, Scotland’s national strategic clinical leadership programme 2005- 2006, she has extensive experience coaching and mentoring leaders from all sectors. Previous national clinical leadership roles span stroke, Long Term Conditions, Healthcare Quality, Joint Improvement Team, Reshaping Care for Older People, Active and Healthy Ageing, and Multimorbidity. Anne leads a Work Package in the European Joint Action on Frailty, participates in Advisory Boards for a number of European programmes, and provides technical advice for WHO initiatives on integrated care and transformation. Dr Tsiachristas is widely acknowledged as an international expert in the health economics sector. His main research interests are related to the economic evaluation and financing of complex interventions, with a particular focus on integrated care and mental health care. In collaboration with allied departments at Oxford University, Apostolos is involved in several research projects, mainly funded by the NIHR (CLAHRC and BRC) and Wellcome Trust, across a wide range of services for prevention, assessment, diagnosis and treatment. In addition, he has varied experience in working in experimental and observational studies in diverse clinical areas such as psychosis, self-harm, dementia, diabetes, cardiovascular disease and cancer. Previously, Apostolos undertook research at the Erasmus University Rotterdam and consultancy work at Aarts Public Economics in The Hague. Apostolos has been teaching health economics as part of undergraduate, postgraduate, and professional courses in Oxford and Rotterdam. His work is published in numerous international scientific journals and presented at prestigious conferences. Apostolos has been acting as an Associate Editor at the BMC-Health Services Research, Topic Editor for health economics at the International Journal of Integrated Care and Guest Editor at Health Policy. He is affiliated to Green Templeton College, University of Oxford. Mandy, a registered nurse, is a senior manager specialising in change management and organisational development, with vast experience leading transformational change in both local and complex national organisations. She works across public, private and voluntary health and social care sectors. Mandy is currently a Senior Programme Manager for the European Joint Action on Frailty (ADVANTAGE JA) and an Associate Director with the Health and Social Care Alliance Scotland (The Alliance) focusing on developing improvement capacity and capability across the voluntary sector. She previously worked as a leadership consultant with NHS Education for Scotland and established the national Leading Quality Network and national mentoring initiative. Her experience of QI collaboratives and leading a national cross sector improvement network developed skills to lead, manage and support transformational change. 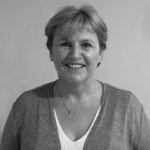 Donna qualified as an Occupational Therapist in 1988 and went on to work in operational and strategic management roles in a range of health and social care services in Scotland. In 2006, she began to specialise in supporting the development of telecare services in Scotland, working as a consultant for the Scottish Government’s Joint Improvement Team. During this time, she developed the first Education and Training Strategy in Telehealthcare for Scotland, managing its implementation thereafter. Moving in 2012 to work with the Scottish Centre for Telehealth and Telecare, she led the Telecare workstream of the national Technology Enabled Care Programme, as well as a European programme of activities, including the management of EU funded projects. In her current role as Head of International Engagement, Donna leads the Scottish Government’s Technology Enabled Care and Digital Healthcare Innovation Division’s International Engagement Team. The Team’s objectives are to enhance Scotland’s reputation as a leader in digital health and care, facilitate knowledge exchange between other countries and regions, and promote economic opportunities for Scotland. She developed Scotland’s International Engagement Action Plan for TEC and Digital Healthcare Innovation which sets out Scotland’s strategic ambitions and objectives in the field of technology enabled health and care service delivery models. Donna has been a Co-ordinator of the European Innovation Partnership on Active and Health Ageing B3 Action Group on Integrated Care since 2012. Donna prepared Scotland’s submission to become an EIP on AHA Reference Site 2016. Scotland was one of only 8 regions (out of 74) to be awarded the highest level rating of 4 stars, in recognition of its extensive efforts to innovate service delivery for older people. She is Project Co-ordinator for the Public Health Programme funded EU projects SCIROCCO and SCIROCCO Exchange. Donna has been a Board member of the International Foundation for Integrated Care since 2014. She is currently serving a 2-year tenure on the HIMSS Global Conference Education Committee. 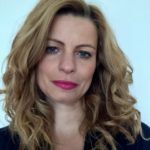 Andrea is responsible for the international engagement and management of the European projects focusing on the deployment and scaling-up of integrated care solutions in Europe. She is also actively engaged in a number of European and international networks to promote the digital healthcare in Scotland and to coordinate Scotland’s inputs to formal consultations, policies and various dissemination activities. Andrea also focuses in her work on knowledge transfer, implementation of Memoranda of Understandings and exchange of good practices at national, European and international level to stimulate scaling-up of innovative solutions in health and care delivery. She is editorial board member of ICT&Health Journal “Transforming Healthcare through Technology”. She graduated from the University of Northern British Columbia in Canada and the University of Matej Bel in Slovakia. Don Redding is Director of Policy for National Voices, the coalition of national health and social care charities in England, which stands for people being in control of their health and care. He leads National Voices’ work with national and international systems to define integration as ‘person centred coordinated care’; and coproduced five ‘narratives’ expressing this from the point of view of people using services. He was a member of the Realising the Value programme consortium, exploring the effectiveness of person and community focused approaches; and authored a paper on ‘New approaches to value’, looking at what people value most, and what value they create. Through these and other workstreams National Voices’ advocacy has helped to develop and shape new national plans for the NHS in England which include a shift of emphasis to primary and community care, and the implementation of a ‘comprehensive model’ for ‘universal, personalised care’. Don is a member of various advisory groups for these plans. A former social care journalist, Don has worked for leading national NGOs since 1991, and was previously head of policy and communications for Picker Institute Europe. The International Summer School Integrated Care© will address all the areas mentioned above, giving a comprehensive overview of the state of the art of integrated care theory, illustrated by numerous practical examples from around the world. By using a broad mix of teaching methods, including multi-disciplinary group work, case analyses, and reflective learning, , it will build and reinforce the competencies of the participants to become leaders in their own settings. Thus, the International Summer School Integrated Care© will help develop the skills of participants to understand and apply approaches to the successful adoption of integrated care in practice. A workbook will be provided in advance of the course for participants to be prepared with examples from their countries. These will be followed up on during the course. The course in any one year has attracted participants representing up to 15 different countries from around the world. To equip participants with tools for managing change in local settings. Up to 25 participants will be selected following an application process (motivation letter and CV). The course language is English and a high proficiency (European level C1) is necessary.